The Vienna Mozart Concerts even fulfill the wishes of the Strauss lovers by performing the most impressing pieces by the Strauss Dynasty, such as "The Blue Danube Waltz" and "The Radetzky March. 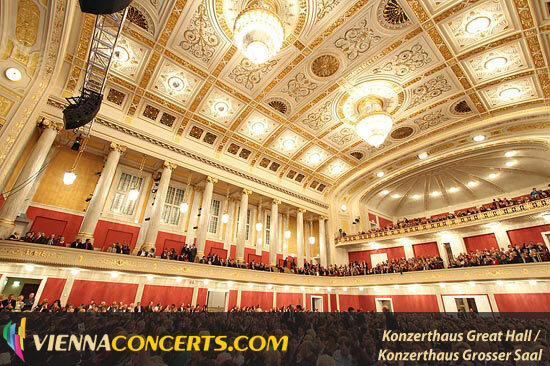 Vienna Mozart Orchestra performs in 4 magnificient concert halls. In order to find out where will this orchestra perform in given dates, please check the list of dates / performances above. The Musikverein was inaugurated by Emperor Franz Joseph in 1870. 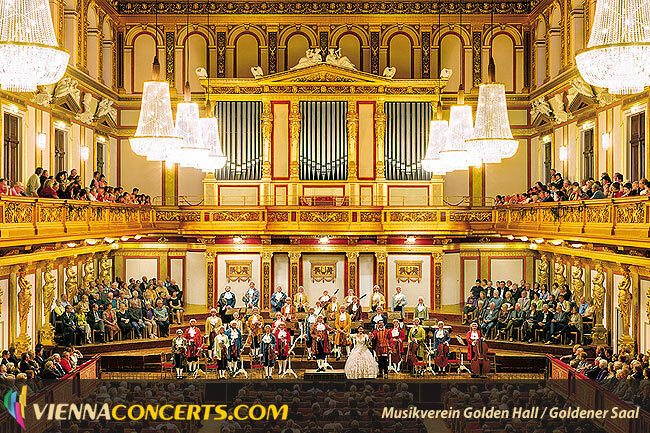 The Vienna Philharmonic Orchestra’s New Year’s Concert, broadcasted worldwide every year, is performed in the famous Golden Hall of the Musikverein. It is also the permanent seat of the orchestra. 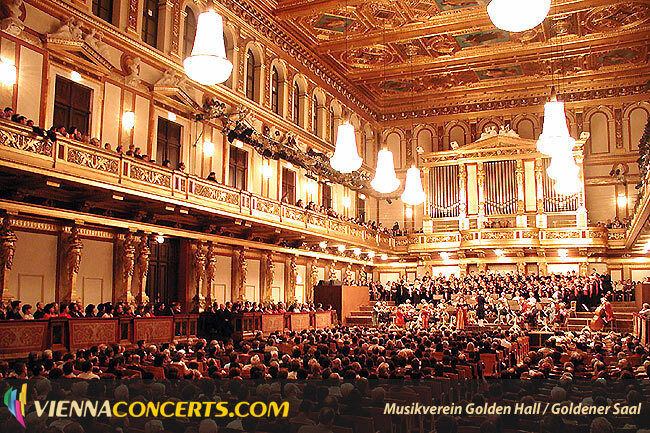 The Musikverein is air-conditioned. The Vienna State Opera House was opened in 1869 with a gala performance of Mozart’s “Don Giovanni”. Since that time, it has been one of world’s leading and most famous opera houses. Great musicians have held the post of director, among them Gustav Mahler, Richard Strauss, Herbert von Karajan, Karl Böhm, Lorin Maazel and many others. 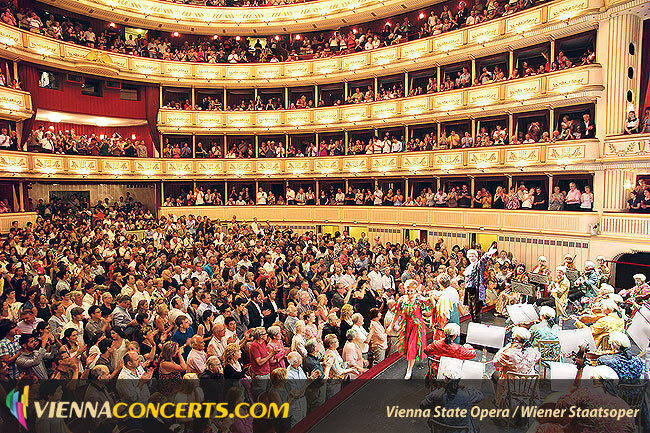 The Vienna State Opera House is equipped with air-conditioning. Don Giovanni, The Marriage of Figaro, The magic Flute, etc. "The Blue Danube Waltz" and "The Radetzky March".